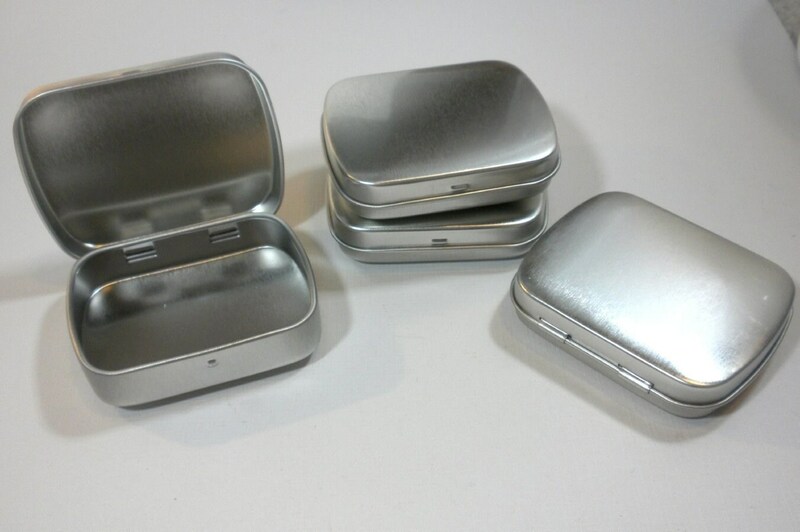 This 1 rectangular hinged tin with rounded corners is the smaller 2.5" by 2" size. 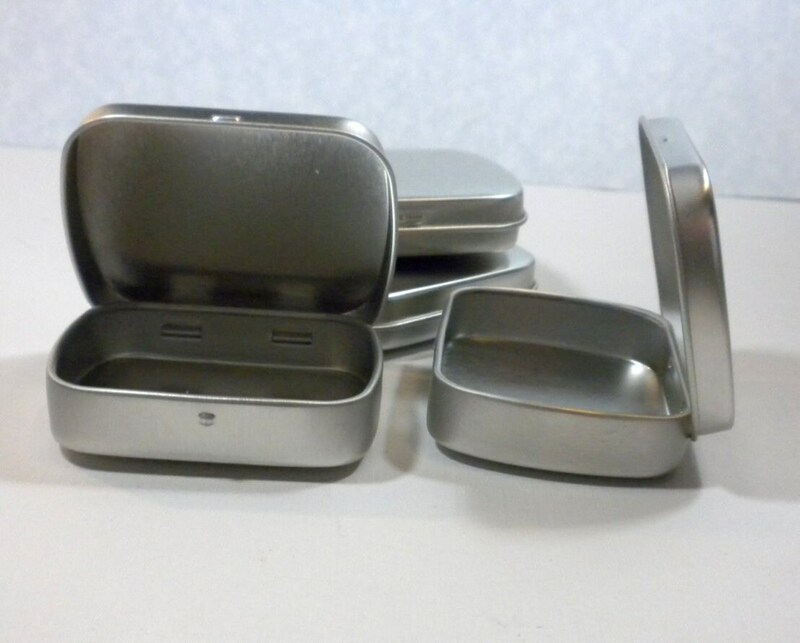 These tins are 1/2" deep. 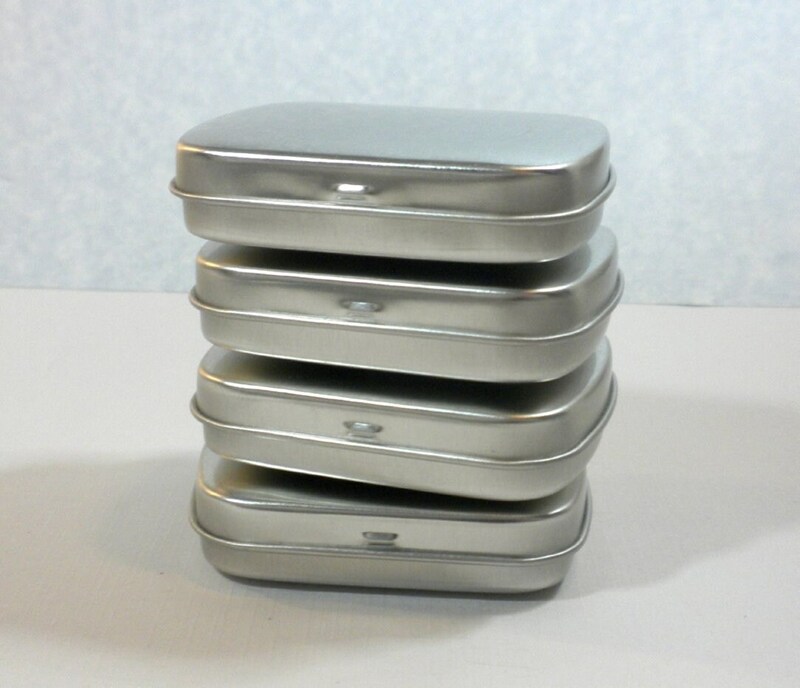 (68 x 41 x 15mm) (Similar to the Altoids Smalls size tin.) Use them to hold pendants, scrabble tiles, earrings, mini sewing kits, or anything else you can think of! This listing is for just 1 tin. Perfect if you just need one, or if you want to sample one before you buy more! 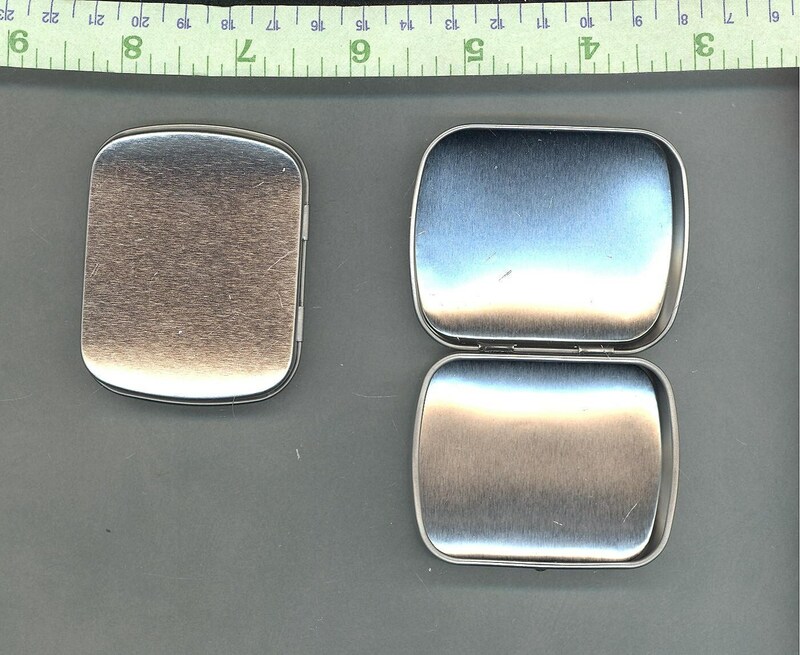 These are magnetic, in that magnets will stick to them. They are not magnetic by themselves. Please look for other quantities that are listed, too. And please feel free to contact me with any questions or if you need a different quantity. 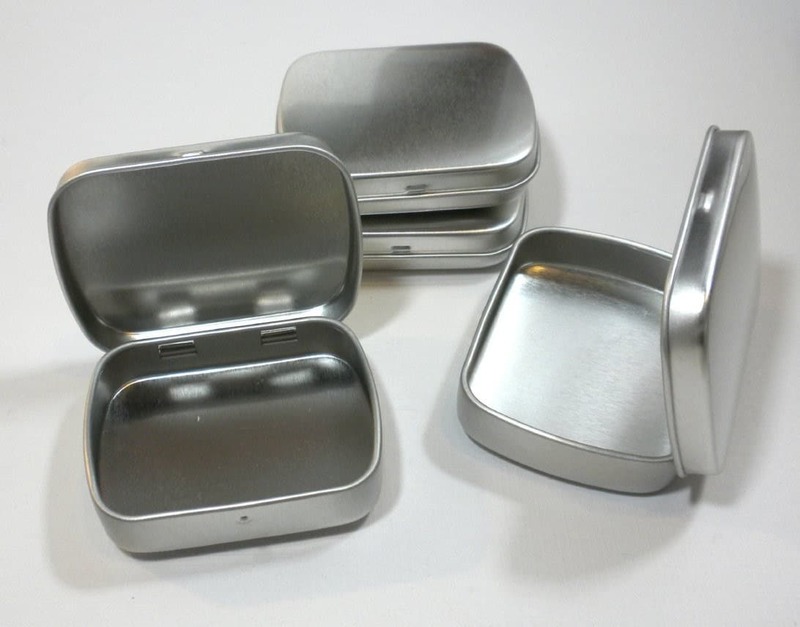 Great small Mint Tins! Great price, packaged really well and received in a timely manner. I recommend!!! Great size & quality item! Fast shipping too!